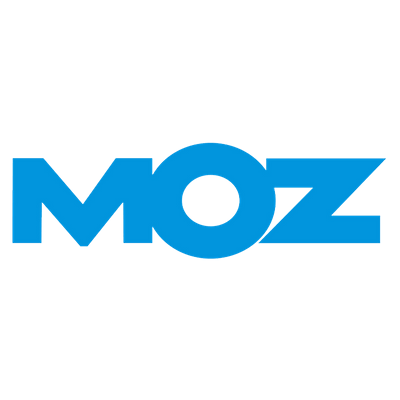 Moz Pro is one of the software products of Moz, a company that provides business owners with tools to improve their website’s search engine ranking and online visibility. Its features include rank tracking, keyword research, and SEO analytics. We compiled Moz Pro user reviews from around the web and determined that it has generally positive ratings. We also shared its available pricing options. Want to know the top SEO services software for small business? Read our Moz Pro alternatives guide. Users who gave Moz Pro a positive review said that they like its campaign builder, site crawl feature, keyword and link analysis tools, and rank tracking capabilities. Others added that the software provides them with good insights on page optimization and website performance. Users who gave Moz Pro a negative review said that the tool is not intuitive and user-friendly. They also disliked its expensive pricing plans and confusing interface. They added that the software’s reporting tool should be enhanced to allow for more customization. One user who gave Moz Pro a positive review on G2 Crowd said that software’s site crawl function helps her to identify and fix website problems. She also appreciates the tool’s campaign builder feature that enables her to create a plan for future SEO projects. One user who left a review of Moz Pro on G2 Crowd said that navigating through the software can be challenging since it shows a large amount of information and tools on-screen. He added that some of its features can be too complex to use, especially for beginners. Moz Pro offers four paid subscription plans: Standard ($99/month), Medium ($179/month), Large ($249/month), and Premium ($999/month). Plans differ in the number of user seats, the campaigns users can run, the keyword queries they can generate, and more. 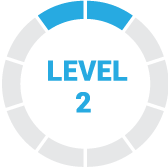 Moz Pro’s Premium plan is designed for advanced users. It comes with a dedicated manager, an unlimited number of users who can access the software, and higher limits on campaigns, crawled pages, keyword reports, and keyword lists. Moz Pro also offers a 20% discount for annual subscriptions with price reductions that range from $20 to $200 per month, depending on the plan. Top 25 SEO Strategies, Tips, and Tricks From the Pros — We asked experts to share with us their top SEO tips and tricks to improve a business’ website’s online visibility. Check out our list of the top 25 SEO strategies from the pros. Is there a free trial for Moz Pro? Yes. Interested users can sign up to Moz Pro’s 30-day free trial for its Medium plan. However, they need to provide details of a valid credit card to complete the process. Moz will then charge a $1 authorization fee on the credit card to ensure its validity. After which, the charge will immediately be voided. What will happen to a user’s Moz Pro account once the free trial ends? Moz will automatically convert the Moz Pro free account into a paid subscription. Users will be charged with the applicable fee every month thereafter, unless they change their billing to an annual subscription or cancel their plan. Can users upgrade or downgrade their Moz Pro subscription at any time? Yes, and you can do so by updating the Billing settings in their Moz Pro dashboard. However, users who upgrade their subscription will also be charged with a prorated amount to capture the pricing difference between the two plans. On the other hand, users who downgrade their plans will need to wait until the end of their billing cycle before the change can take effect. This video provides a quick overview of Moz Pro’s dashboard and campaign creation feature. Not sure if Moz Pro is the right fit for you? Read our reviews of all top SEO service providers or check out one of these three Moz Pro competitors. I like it offers website crawling and checks for duplicate content. Their knowledge base is huge and you can find it throughout the Moz Pro dashboard when you need it most. You’ll even find Rand Fishkin’s videos that explain what the feature does, so you’ll always learn something new while using the platform. When setting the campaign, you’ll be asked to input 3 of the competitor websites. I find this feature quite nice, as you’ll be able to track the progress nicely. I dislike UX and it takes me a lot to find what I want within their dashboard. While their crawl index is big, it can’t be compared to Ahrefs’ or SEMrush’s. What this means is that you won’t get the complete picture when it comes to inbound links for your websites. The design language is not uniform, you’ll occasionally find yourself lost or worse “Ooops, Sorry, something happened” message. 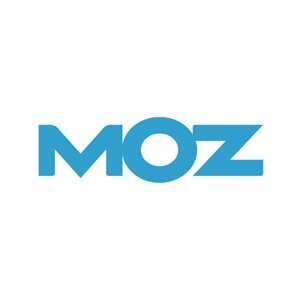 Moz is a great SEO knowledge source, but their marketing platform is not very easy to use. Their index is not very big and does not present the full picture when it comes to backlinks. The onsite SEO modules are quite good and I can recommend them for beginner SEOs. The style with which they have created this application is what most pleased us, many of its elements have been easy to locate and therefore, less difficult to learn, we can give the application an excellent use thanks to this. Until now there is nothing that we can identify as a dislike, we would like it to give us more characteristics in certain aspects but we believe it to be very complete until now. The price although this was only the beginning, if we had not discovered how good their characteristics were and that we could use them at our convenience, we would still believe that it was very expensive for what it brought. I’ve tested lot of SEO platforms and Moz is the best program to manage the ranking of your webpage. You can easily view all the evolution using friendly graphs. It helps you to design your SEO strategy giving some ideas to improve your keywords. On the other hand, the blog is really awesome, you can learn about SEO from beginner to advance levels watching videos. In my opinion, premium plans are a bit expensive, but it’s reasonable because Moz helps you to increase your performance and if you know how to use it properly, you can win more money. So I assume the cost as an inversion. Moz is a powerful tool that I would have liked to discover before. I’m sure that if I would have had the possibility to try it for free for 1 month I would finally buy a plan even before. It’s Moz. The SEO top dog when it comes to content and knowledge in the industry. A lot of that top level understanding of SEO translates to the product. It is a great way to track and measure SEO efforts. There are a lot of different tools out there that do similar things to Moz. There may be easier to use or more affordable options out there. It comes down to preference and what you are used to. It isn’t too difficult to pick up though. We had some issues with billing that we weren’t able to get resolved. That was frustrating. It is reliable, it gives me great peace of mind knowing that all my documents are backed up. Its ease of use is great. My plan allows me to have up to three computers connected for backup. Moz is a bit expensive. It does not provide more information as other tools. It takes time to perform the initial backup and to download all the files to a new computer. I had to do a factory reset and if I had not been by Mozy I would have lost everything. Since then I do not stop using it, I love it, I always recommend this wonderful backup service.